This concentrated masque which contains salicylic acid as a keratolytic which reduces congestion in the hair follicle (pores), and papaya extract which softens skin and reduces oil. It also contains bisabolol, and allantoin which helps to soothe and calm irritated skin. Professional Use – Can be used with the Bio-Ultimate Platinum® under the Bio-Masque™ or use with the Bio-Oxygen™, under the Bio-Dome™. Prepare skin with CLEANSE, EXFOLIATE, and TONE. 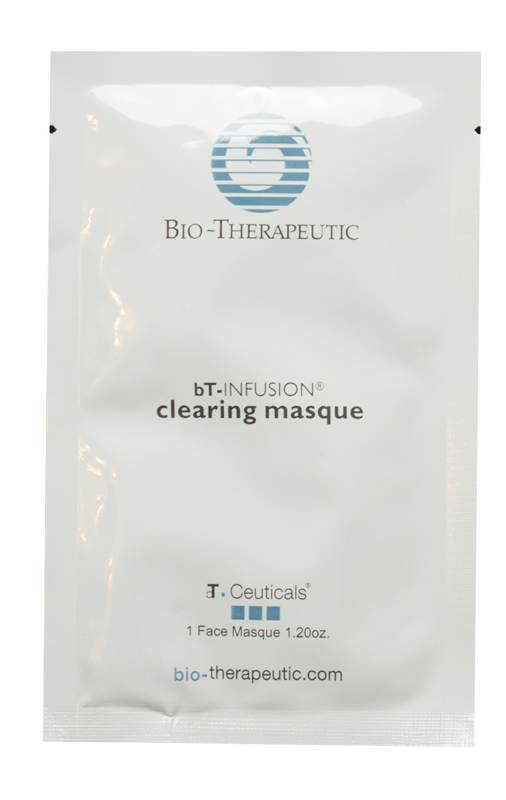 Remove protective plastic from MASQUE and apply masque to face, and follow with appropriate accessory. Follow the bT-Ceuticals™ regimen for skin type and condition. Home Use – Use CLEANSE, EXFOLIATE and TONE. Remove masque from packaging and apply to face for 10-20 minutes. Remove, and follow with bt-Ceuticals regime for your skin type. 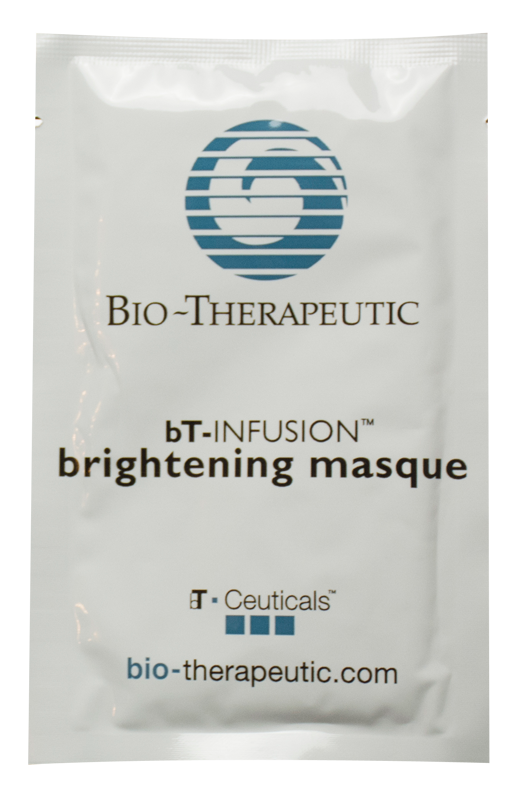 The bT-Infusion™ brightening masque contains marine algae and licorice extracts for lightening and brightening the skin. It also contains hyaluronic acid for a light hydration, and nicotinamide for sebum control. Aloe and allantoin for soothing and calming. Home Use – Use CLEANSE, EXFOLIATE and TONE. Remove masque from packaging and apply to face for 10-20 minutes. Remove, and follow with bT-Ceuticals™ regimen for your skin type. Contains collagen for hydration and moisture. All skin types. Excellent for dry and dehydrated skin. 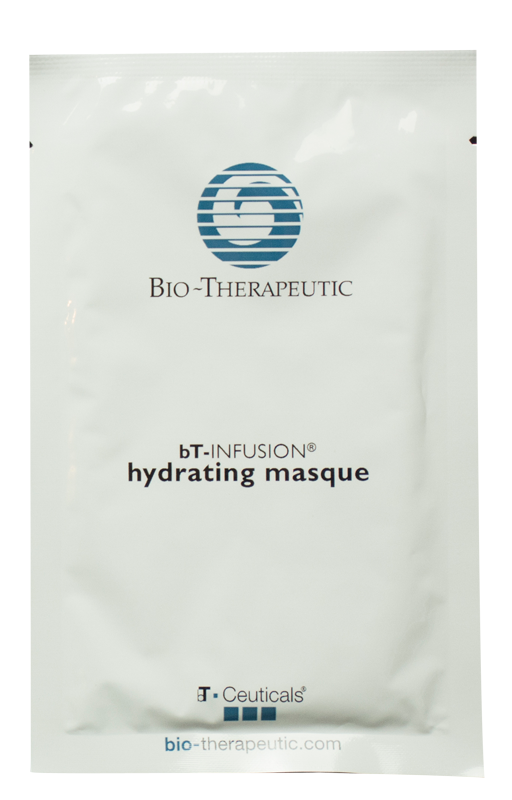 This masque is formulated with allantoin, bisabolol, and aloe vera, for calming, and soothing. It contains Vitamin-E and water-soluble ceramides (lipids) to moisturize and hydrate dehydrated skin, and licorice extract to brighten dull skin. Licorice extract-tyrosinase inhibitor (helps suppress melanin production). All skin types. Excellent for dull, dry, dehydrated skin. This masque contains vitamin C for firming, lightening, and healing, aloe Vera and witch hazel for hydrating and soothing. It also contains licorice extract to further lighten and brighten the skin. 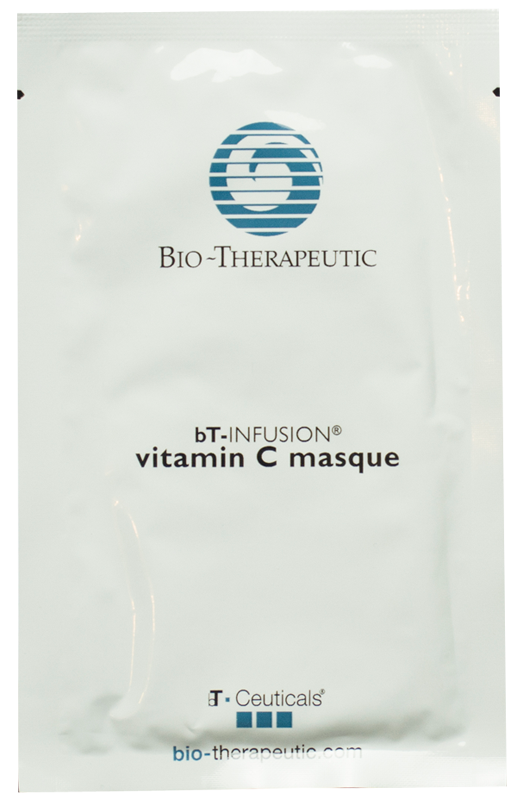 Vitamin C as an antioxidant and skin lightener. Home use – Use CLEANSE, EXFOLIATE and TONE. Remove masque from packaging and apply to face for 10-20 minutes. Remove, and follow with bt-Ceuticals regime for your skin type. bT-Ceuticals™ Home Care Regimen. 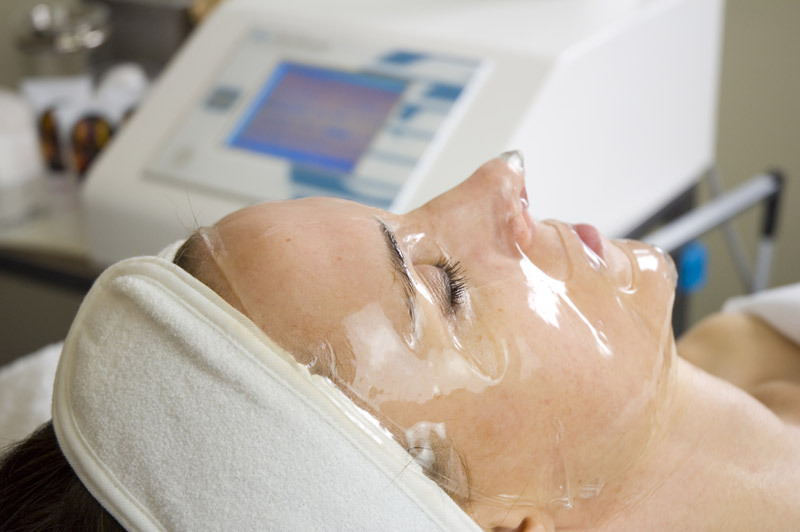 HD System Hyaluronic Delivery Masques are clear masques for use with the Bio-Synthesis™, and with the bt-Accent LED™. They can also be used for home care as a hydrating masque. Normal, Dry, Dehydrated (not for use on oily, acneic skin). Professional Use – Remove the masque from the packet. Apply appropriate Accelerate for skin type and condition, and apply Chromatic Serum over the top. Apply eye pads on the client’s eyes. Place the under eye masques on the face on the under eye area. Place eyewear over the top of the eye pads. Place the LED light panel on the face within 3-6 inches with skin type and condition selected settings. See manual for appropriate facial options. Home Use – Cleanse and exfoliate skin. Apply appropriate Accelerate and Chromatic Serum on to the skin. 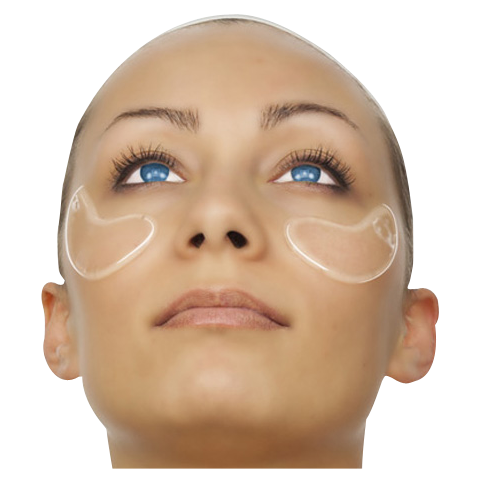 Place under eye masques over the top, and leave on for 15-10 minutes. Do not use on oily skin, or with chemical peels. Follow the bt-Ceuticals™ regimen for skin type and condition. Professional Use – Remove the masque from the packet. Apply appropriate Accelerate for skin type and condition, and apply Chromatic Serum over the top. Apply eye pads on the client’s eyes. Place the masque on the face starting from the chin and move up while contouring it to the face as you move toward the forehead. Place eyewear over the top of the eye pads. Place the LED light panel on the face within 3-6 inches with skin type and condition selected settings. See manual for appropriate facial options. Home Use – Cleanse and exfoliate skin. Apply appropriate Accelerate and Chromatic Serum on to the skin. Place masque over the top, and leave on for 15-10 minutes. Do not use on oily skin, or with chemical peels. Follow the bt-Ceuticals™ regimen for skin type and condition. Professional Use – Remove the masque from the packet. Apply appropriate Accelerate for skin type and condition, and apply Chromatic Serum over the top. Apply eye pads on the client’s eyes. Place the masque on the neck contouring it around the neck and décolletage. Place eyewear over the top of the eye pads. Place the LED light panel on the face within 3-6 inches with skin type and condition selected settings. See manual for appropriate facial options. Home Use – Cleanse and exfoliate skin. Apply appropriate Accelerate and Chromatic Serum on to the skin. Place neck masque over the top, and leave on for 15-10 minutes. Do not use on oily skin, or with chemical peels. Follow the bt-Ceuticals™ regimen for skin type and condition.